A stylish Valentines love screensaver will show just how much you care. 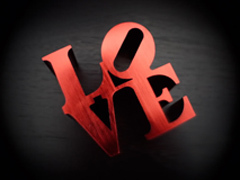 A tribute to Love by Robert Indiana. Spread the word with this shamrockin’ screensaver. As if nature intended it to be framed. A very perfect fall specimen.